While various conflicts and points of contention across the Arab World remain the focus of scholarship on the region’s humanitarian situation, the widespread coverage of these internal circumstances distract from the ways in which Gulf states have stepped-up to alleviate humanitarian challenges across the globe. In contrast to the chic capitals of the Gulf Cooperation Council states, fellow Arab League associated nations such as Syria, Iraq, Sudan, Yemen, Somalia, Comoros and Eritrea experience widespread conflict-induced hardships and have been recipients of Gulf-sourced humanitarian aid. Given this wealth-disparity, the Gulf nations have sought to bridge the gap by contributing to humanitarian aid and development programs across the Middle East. These benefits come in a variety of forms, including food and sanitation items, programs aiming to aid internally displaces persons, refugees, and at-risk women and children, as well as initiatives to help disadvantaged communities become economically self-sustaining. Such aid has a global presence and is foundational to the funding and implementation of programs run by global aid organizations. Please join us for a conversation to learn more about the global impact of Gulf-sourced humanitarian aid. H.E Ambassador Dr. Al Meraikhi was appointed by UN Secretary-General Ban-Ki Moon as his Humanitarian Envoy in December 2016. This appointment was reaffirmed by UN Secretary-General António Guterres. Dr. Al-Meraikhi’s overall objective focuses on supporting multilateral humanitarian response efforts by raising the profile of humanitarian crises with Governments and nongovernmental organisations and increasing their engagement with the international humanitarian community. Dr. Al Meraikhi’s experience includes work with the Qatari Ministry of Foreign Affairs as an Ambassador. Prior to his appointment, Dr. Al-Meraikhi joined the UN CERF-Advisory Group as a member in November 2013 and elected to be the Vice-Chair in October 2015. Dr. Al-Meraikhi served as Vice President of the Qatar Regulatory Authority for Charitable Activity since 2014. He simultaneously served as the Founding Director of the International Development Department in the Ministry of Foreign Affairs of Qatar (2010-2016) and had served as Director General of the Qatar Development Fund (2010-2015). 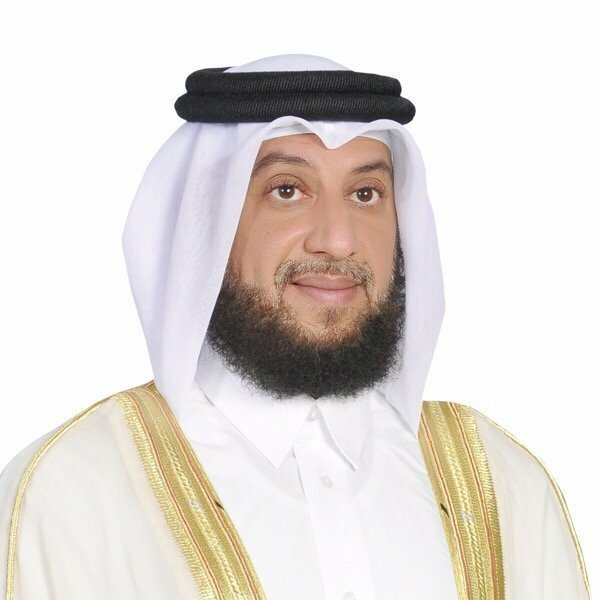 In 2008, Dr. Al-Meraikhi began his association with charitable associations; serving as Vice Chairman of the Qatar Coordination Committee for Charity Associations (2008) whose primary objective was to coordinate activities and assist in developing Qatari civil society. He served as a member of the Executive Committee for the Education Above All Foundation (2011-2016) and served as Vice Chairman for the Standing Committee for the rescue and relief work and humanitarian assistance in the affected areas of sisterly and friendly countries (2010-2016). He holds a Master’s Degree and Doctorate from Sheffield Hallam University in the United Kingdom.